Firstly a BIG thank you to my fellow electric jivers - Siemon, Chris, Francis and Nick - some incredible shares and input that has taken this blog to the top spot for an archive of out of print South African sounds from the vinyl (and shellac) age. Secondly a big thank you to the readers, researchers and fellow bloggers - we appreciate your encouragement and comments. I don't think that when Chris and I hatched the plan for electricjive we had any idea it would turn into something as good as this. From my side I've had a little difficulty in keeping pace with the detailed contextual notes written by the others. But then I've been busy with the Matsuli reissue programme. And on that side thank you again for the support which has made the Batsumi reissue sell-out in just one month! To round off the year I thought I'd share with you a random selection of 45s I’ve picked up by chance, choice and trade. So without further ado here's to 2012. From my side you can look forward to some of the following: Roots, Pacific Express, Nzimande All Stars, Lerato, Saitana, the Elite Swingters, as well as LP compilations from Zambia, Angola and Mozambique. There has been a wealth of wonderful melodies shared on Electric Jive this year, and we hope you have enjoyed each and every one of them. Over the past month, we have been celebrating the holiday season with a variety of compilations and mixes for your enjoyment, and I’m pleased to say that today – for it is Christmas Day – is no different! It is our privilege to now offer you during this very special season a very special collection of music. 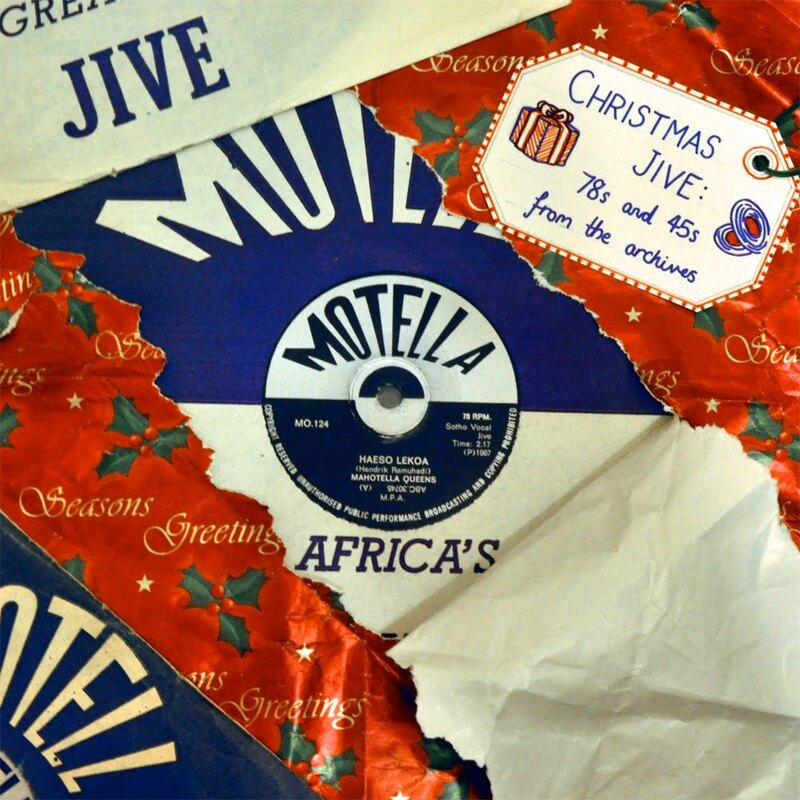 Christmas Jive is the fourth of my compilations focusing on the sound of Mavuthela, bringing together 35 sax and vocal jive classics from the 1960s and the 1970s, all digitized from scarce 78s and 45s acquired over the last few years. The selections in this assemblage of wonderful music have all been chosen carefully in recognition of the festive period – there are no dud tunes to be found here. This is mbaqanga music at its most raw and its best. A momentous day calls for momentous music, does it not…? And whilst you listen to each delightful number, allow me to give you a bit more insight into the style of music and the people behind it. Mbaqanga music was often disparaged as being the music of the transistor radio. It was dubbed “msakazo” (“broadcast”, i.e., “radio music”) by those who saw it as a safe and sound music form, the creations of producers who were in collusion with the apartheid enforcers. They felt it was a style performed by country bumpkins who were working to order. There is no doubt that mbaqanga received heavy airplay on the SABC services because of the lack of anything remotely politically suspect, but to sully the entire style by focusing on the negative acts of the producers and disregarding the performances of the musicians is rather inane. Just listen to any of the best-selling jive records of the ‘60s and the ’70s: heavy radio promotion helped to shift a great deal of copies, that’s for sure, but it is not the only reason that these records were big sellers. It is largely because of the sheer genius talents of the musicians in the studio. The exploitation and lack of a correct payment system was a shocking situation and is best left in the past where it belongs. However, the music made during that time should not be shoved into the same category as apartheid. These musicians were not playing their guitars, beating their snare drums and singing their guts out to fulfill a government request – they were doing it because they loved it. Many of the producers were without doubt the big, bad creatures they were, lining their own pockets with money that deserved to go to their hard-working musicians, and ensuring all the resulting studio material was “safe” for broadcast – but the performers were performing simply because they identified with the spirit of this jovial, happy music. You only need to ask the likes of those who are still with us – Joseph Makwela, Elias Lerole, Joyce Mogatusi, and Hilda Tloubatla, among many others – to find that out. And surely that is as far away from the apartheid government and its oppressive laws as one could get? A shining example of this opens Christmas Jive with a bang. 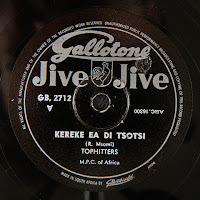 The triumvirate of Mahlathini, the Mahotella Queens and the Makgona Tsohle Band – among the most famous mbaqanga performers of the '60s – drive at full speed with the Sotho vocal number “Haeso Lekoa”. The song, written by composer and sometime vocalist Hendrik Ramuhadi, was released in 1967 on the Motella label and was just one of a long, long chain of big hits that the group would produce in that halcyon 1964 – 1971 period of their career. Mahlathini and the Queens – here constituted by Juliet Mazamisa, Windy Sibeko, Hilda Tloubatla, and Ethel and Francisca Mngomezulu – provide a wonderful vocal contrast to the bouncy rhythm of the Makgona Tsohle Band. The first instrumental in this collection features Mavuthela guitarist Harry Mathaba leading a team of three electric guitars and a bass in a great instrumental, “Igumbagumba”. 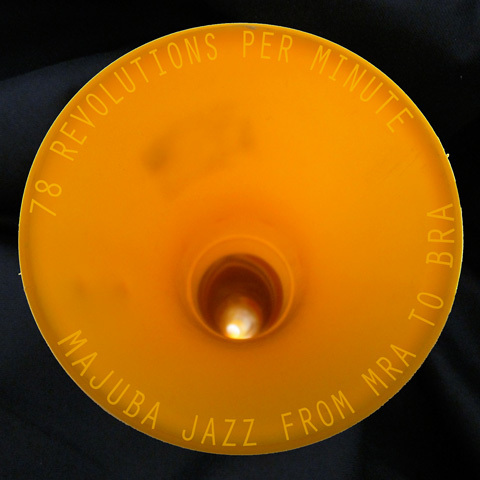 This is a typical, fast-tempo 1960s mbaqanga arrangement. The word “igumbagumba” is a slang term along the lines of “party time”, and is seemingly derived from Botswana. A better-known usage of the phrase is as the name of one of the Mavuthela labels launched in 1964/5, Gumba Gumba. 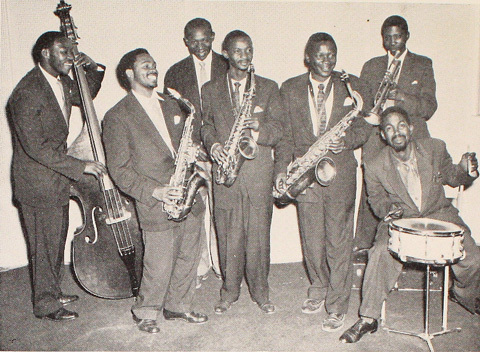 The Guitar Rhythm Session band (the Makgona Tsohle Band without the saxophonists and, here, without the drummer) was predominant mainly around the early 1960s, during the formative years of Mavuthela. Incidentally, Harry Mathaba was a member of the Gallo session team before Rupert Bopape’s 1964 arrival at the organisation, which resulted in Mavuthela’s birth. Mathaba was one of a few musicians at Gallo that were kept on, with many others made redundant and replaced with members of Bopape’s former team at EMI, as well as some new recruits – two of whom were Marks Mankwane and Vivian Ngubane, two of three key musicians who, with their excellent creative minds, radically redirected the sound of black South African popular music in the 1960s. “Isimanje Manje” (i.e. 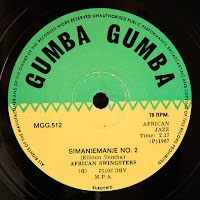 ‘isiManje-Manje’ – literally ‘now-now’, essentially ‘modern times’) is an early jive number by Abafana Bezi Modern, a group line-up featuring Mahlathini and a few other male vocalists (also featured in this song are the Mahotella Queens). 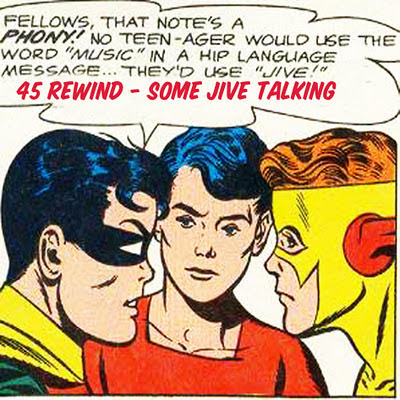 The song, released on the Gumba Gumba label in 1965, serves as a promotional tool for the jive crazes that the company put out. There were several similar songs produced by the company during this period that referenced ‘isimanje manje’, ‘isimodern jive’ (or ‘s’modern jive’), ‘mgqashiyo’ (or ‘mqashiyo’), ‘mojikisa’ (or ‘mtshikisa’) and ‘sosolo’, all of these words being fabricated to describe the latest hit being in the melting pot of Mavuthela. Despite the advert-like nature, “Isimanje Manje” – with its interweaved vocals and raw instrumentation – is a delight to listen to. The group name, Abafana Bezi Modern, was mainly used for recordings between Mahlathini and the male vocalists heard here although female singers were sometimes present in spite of the "abafana" reference. 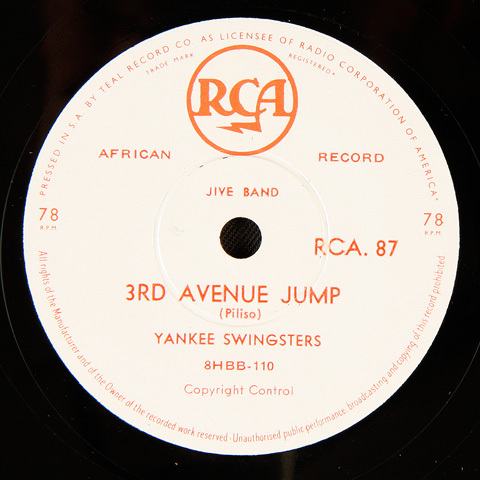 This song, like a thousand other tunes created during the era of electric jive, is credited to Rupert Bopape. Bopape was the director of Mavuthela and served as its main producer (during the 1960s, along with Shadrack Piliso as a secondary producer, until more producers were recruited in the ‘70s), but he was not a musician. Nevertheless, Bopape was an active songwriter during his producing years. Aside from coming up with lyrics which were then arranged by his musicians into a proper song format, he also co-composed tunes with several of the vocalists and instrumentalists - but also took the lion's share of the due payment. Often, he instructed secretaries to assign his name to several songs that he hadn't contributed to (or had only vaguely helped compose). Bopape began pulling out of the day-to-day administration at Mavuthela in the latter part of the 1970s but continued to write simple tunes for the company's musicians. His presence finally left the music industry around 1982 when he retired to look after his personal business interests in Limpopo. Though Coplan refers to Bopape in his dense book In Township Tonight! as “the late Rupert”, the producer is still alive today, although he is more or less living in seclusion, various health problems (and old age) over the last thirty years having put paid to any form of activeness. Trumpeter Elijah Nkwanyane (or Nkwanyana, depending on what the label on the disc says!) was one of those musicians whose talent shone through every pore. In a few short years he had made his mark on the industry, with many classic jazz records under his belt. 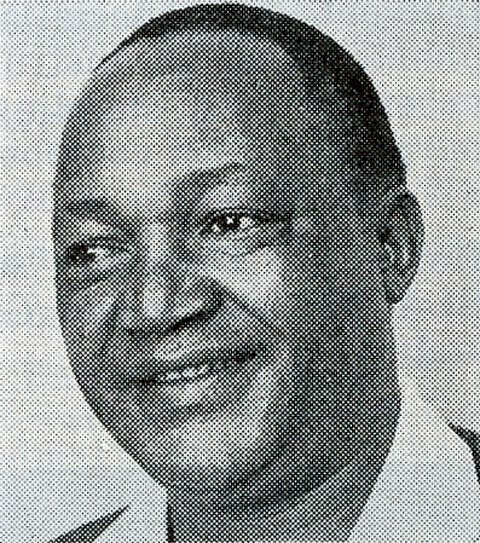 But by 1964, when Gallo poached Rupert Bopape to set-up a new black music unit, the majuba jazz sound of the 1950s had been fading fast, having been usurped by a new concoction of sounds later to be referred to as mbaqanga – partly due to changing tastes and partly because the mbaqanga musicians (who, as we have mentioned many a time, were mostly migrant and unaccustomed to this technological business known as the black music industry) were easier for the likes of Bopape to control. Nkwanyane and his contemporaries, such as Ntemi Piliso and Ellison Themba, were among those who shifted with Bopape from EMI to the new Mavuthela operation at Gallo where the foundation stones for mbaqanga’s heyday were set. These jazzmen had to adapt in order to survive. “Rocsy Pie Conti”, released on the Motella label in 1964, is a great tune heralding the shift from the old swing style to the new electric jive of the 1960s. Nkwanyane is credited as the composer, although he was a trumpet-player and the only brass instrument on this record is an alto sax. Perhaps Nkwanyane was more talented than we think? Although it is true to say that the information printed on the disc label does not always correspond with the truth. Just look at the hundreds of singles pressed with the name Marks Mankwane and His Alto Sax, all of which featured Marks playing only on his electric lead guitar! Another tune featuring Elijah Nkwanyane as part of the studio band is “Lama”, an African jazz song (so the label says) released in 1965 on the Motella label. The guitar patterns here do indicate clear mbaqanga, but the rhythm still has that wonderfully swinging touch to it, a touch derived from those days of majuba or marabi or whatever you wish to call it. There is a collection of horns here mostly comprising saxophones, but Nkwanyane leads on trumpet – and throws the studio microphone a fantastic screaming solo in the middle of the tune. “Lama” was probably quite a successful tune – it was certainly memorable for West Nkosi, who re-recorded the tune over 25 years later for his instrumental album Rhythm of Healing. In typical West fashion, he renamed the tune “Shebeleza Mntwana” and credited himself as the composer. He may have been aggravated by Rupert Bopape’s stubborn studio management and attitude, but certainly followed in his boss’ footsteps in the songwriting department…! For more information on Elijah Nkwanyane and other likewise musicians, see Siemon’s informative posts on the topic of the indigenous 1950s majuba jazz sound. Joseph Makwela and Rupert Bopape’s composition “Jabulani Mabungu” (“Be happy, boys”) is a superbly performed little tune. It is a simple song with few lyrics, written to reflect the heavy airplay that mbaqanga received on Radio Bantu, the SABC's service for black listeners. “Iyo-iyo, siyanisakazela thina,” sing Izintombi Zomgqashiyo (aka the Mahotella Queens). “Siyanisakazela thina... jabulani!” (we are broadcasting to you... rejoice!). “Jabulani ‘mabungu namatshitshi” (rejoice, boys and girls), shouts Mahlathini. Many other songs recorded in the Gallo studio offered praise to Radio Bantu – the umbrella term given to the SABC’s African-language stations – and sometimes, even referred to radio personalities like K.E. Masinga. (Masinga, referred to in songs mostly as “uK.E.” or “noma uK.E. ogibela igagasi” [K.E. who rides the airwaves], had most notably coined the term ‘mgqashiyo’ in 1965 in reference to the music being produced by Mavuthela). After its 1970s expansion, the SABC's black radio stations ranged far and wide: from Radio Lebowa and Radio Sesotho to Radio Venda and Radio Zulu. When artists like the Queens composed songs ready to record, the songs would be translated into different African languages and then recorded one after the other. This not only increased radio airplay, it also gave the chance for the intended message to be broadcast to the biggest audience possible. Mavuthela produced some of the best and well-remembered mbaqanga music of the 1960s. However, from time to time, they did stray from the norm – as “Masibulele Ku Jesu” displays. The song, released in 1965 on the Motella label, is a traditional “Zulu sacred” number arranged by Simon Nkabinde. Notably, this is not the tried-and-tested electric rhythm band combined with male groaner and female quintet. Though the record is pressed with the name Emthunzini Girls, the personnel contains a sizeable delegation of Mavuthela vocalists led by soprano Hilda Tloubatla, backed by a single electric guitar and some thin percussion. The results make for pleasant listening and almost gives the listener the feeling the singers here are the dedicated congregation of a township church. A similarly rebellious tune (rebellious in as much as it doesn’t follow the usual Mavuthela factory-line sound – much!) is “Motho O Kgonwa Ke Sagagwe”, released on the Gallo New Sound label in 1965 with the name Honey Ray & The Star Beams. The record attempts to combine that classic Mavuthela sound with some kind of a neo-traditional twist. The Star Beams are actually the Mahotella Queens – as can be detected from Windy Sibeko’s very clear alto vocal – and they are fronted by so-so singer Ray Nkwe, who later became an A&R man for Teal before rejoining Gallo-Mavuthela as a producer and musician. The illustrious Makgona Tsohle Band, of course, backs Ray and the women vocalists. Marks Mankwane was, without a doubt, the most well known and innovative mbaqanga guitarist in South Africa’s history. “Umkhumbi Kanowa” (“Noah’s ark”) is a decent example of Marks’ style of playing and of a typical late ‘60s sax jive song, but bear in mind that he plays lead guitar on the vast majority of tracks in this compilation! This song, featuring West Nkosi on alto saxophone, was recorded in 1967 and released on the C.T.C. Star Record label. Mankwane was born in Warmbaths (now Bela-Bela) in 1939. His older brother possessed a homemade guitar, which Mankwane began fooling around with when he was around twelve years old. Their father did not approve of such nonsense, and often the young Marks would receive a beating for his supposed tomfoolery. This did not deter him from wanting to play the instrument though. Before long, his older brother recognised that there was a talent being developed within Marks, and they managed to pool some money together to buy a “proper” guitar. The two boys pleaded with their father to refrain from destroying the expensive instrument. The Mankwane father allowed them to have their musical pleasure – just so long as they looked after the cattle when they were supposed to. Marks then began developing his own guitar skills into his teens (while also learning to play the pennywhistle). One of his early influences was the maskanda artist Josaya Hadebe, whose records Mankwane used to listen to ardently. Hadebe’s meticulous guitar work was a classic example of maskanda’s ‘ukupika’ style of playing, demonstrating the artist’s versatily and aptitude for the instrument. Mankwane loved Hadebe’s style of playing, and adopted his maskanda playing into his own music. By the mid-1950s, Mankwane had travelled to Pretoria to find work, and became a domestic servant. In his spare time he encouraged his own musical development, and soon was the leader of a small band of pennywhistlers. They often encountered another group of garden boys who called themselves the Pretoria Tower Boys, with whom Mankwane would become close associates in the next few years to come. Marks joined the music industry circa 1960, first under Cuthbert Matumba at Troubadour. 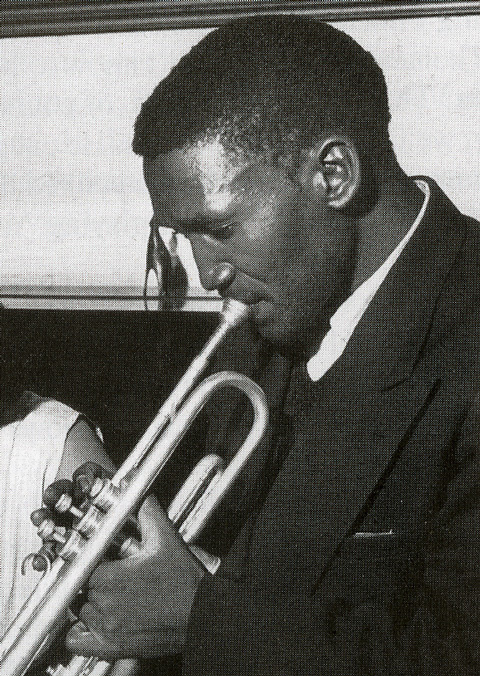 At the company, Mankwane played pennywhistle and (later on) saxophone in the line-up The Downbeat Boys. He knew that he was more talented with a guitar in his hands, but disliked the fact that on guitar, he’d be playing second fiddle to a saxophonist, who would be stood in front of the band receiving nearly all of the audience appreciation – so he played up-front with a horn whenever he could. 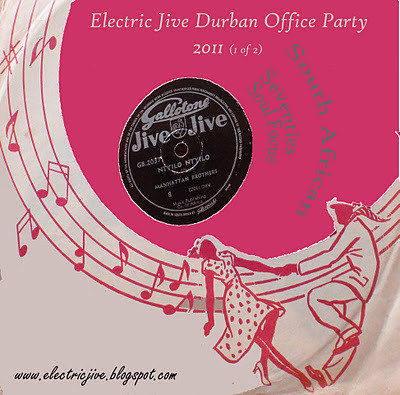 The introduction of the electric guitar around 1959 or 1960 into South Africa proved a vital turning point for the black popular music scene (for more information, see Siemon’s written history of the music of this period). However, guitar players merely played the same acoustic lines on the electric instrument. There were no pioneers or innovators of the mbaqanga sound until Marks Mankwane played the instrument in the studio at Gallo in 1964. He had been practicing after long sessions at Troubadour, creating a new up-tempo style of playing which was influenced by the ‘ukupika’ of Josaya Hadebe. When he heard that EMI’s Rupert Bopape had moved to Gallo and was on the lookout for new musicians, Mankwane auditioned for him. He played his electric guitar in the style inspired by Hadebe and, combined with the other musicians Bopape had assembled in the studio, managed to forge an entirely new take on the music played by session bands heretofore. 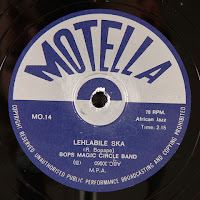 (Incidentally, those musicians Bopape had put together with Marks as the new Mavuthela house band – Joseph Makwela, Lucky Monama and Wilfred Mosebi – had originally comprised the nucleus of the Pretoria Tower Boys with whom Marks had associated back in the ‘50s.) The end of the 1960s had set the mbaqanga that unites an electric lead, an electric bass, electric rhythm and drums in solid stone. Every single band in existence had its own guitarist playing in a style based on that meticulous Hadebe ‘ukupika’ method. Mbaqanga music owes a lot to Marks Mankwane. And, perhaps, to Josaya Hadebe! Benoni-born Mildred Mangxola was a teenager when she joined the line-up of the Daveyton Sisters, a local close-harmony group that modelled its vocal stylings on the jive sounds coming from the record companies. Before long, the talented Mangxola was the lead singer of the group. They decided to travel to Johannesburg in 1965 (Mangxola was now 21 years old), where an encounter with Mavuthela drummer Lucky Monama set them on the road to the studio: Monama convinced his boss Rupert Bopape that the Sisters were worth recording. Among their first hits was the fast-tempo “Ulele Emini U Makoti” (“You rest at noon, bride”), released on the Gallo–USA label in 1965. 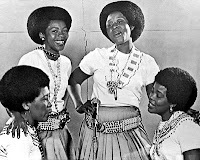 The Sisters’ career within Mavuthela was sadly all too brief – but Mangxola, whose vocal ability was the driving force behind the Sisters, soon found herself being recruited into the regular recording and touring line-ups of the top-tier Mavuthela vocal group, the Mahotella Queens. 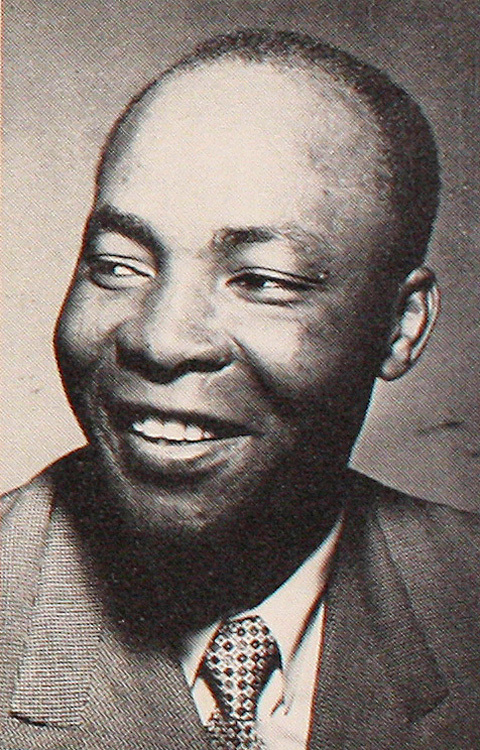 The mouth organ penetrated mbaqanga in the mid-to-late 1960s. 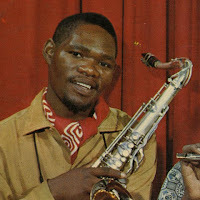 Some of those who occasionally put down their alto saxes and picked up harmonicas included Selby “Bra Sello” Mmutung (check out two of his mouth organ jive numbers over at the flatint blog) and legendary sax jive star West Nkosi (pictured left, in 1967), the latter of whom achieved big hits with “Hip! Hip! 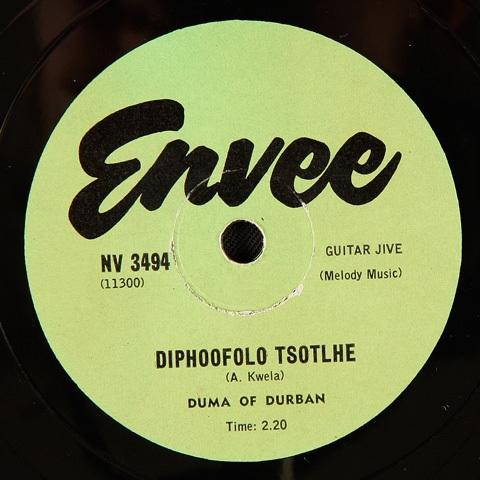 Hooray”, released on the Inkonkoni label in 1972 (at the time, the bestselling and most popular of the Mavuthela labels) and “Amanzi Amancane No. 5” (released under the pseudonym Lucky Monama & His Partners, though Lucky was actually the drummer with the Makgona Tsohle Band which performed that very popular tune). The presence of the harmonica in mbaqanga was another in-thing – like the melodica and violin – that did not last very long (in comparison to, for example, the accordion), but nonetheless, the mouth organ provided a pleasant-sounding complement to the guitar rhythm. Nkosi’s headstrong attitude to life thrust him further and further into the spotlight as time went on: from recording for small, independent labels like Hit and Meritone, Nkosi managed to make an in at Gallo, where Reggie Msomi saw his potential. Rupert Bopape also recognised Nkosi’s talented sax skills, and he was a vital part of the new Mavuthela operation after 1964. When the order came from Gallo’s management to increase production, Nkosi was one of the first to be honoured by Bopape with a producing role in 1972. As hinted earlier in this post, Nkosi was the ultimate champ and all-round good guy in front of Bopape, the big boss of the studio (pictured left circa 1974). But privately, one might say West thought Bopape was ill-suited to the music business: in an interview many years after Bopape’s retirement, Nkosi spoke about sitting down with his boss in the rehearsal rooms at Gallo and watching artist after artist audition for a contract. Though Nkosi could feel the potential in these musicians and singers, Bopape was the boss and had to have the final say – and often turned down the ones who Nkosi privately felt had the talent to prosper. His promotion to producer gave him the chance to have his decisions adhered to – and, in many cases, spotlight a talented act that, under Bopape, would never have shone. When West Nkosi came to Durban to search for a local male group whose cothoza mfana vocal styling had captivated everyone listening to Radio Zulu, he struck gold. He brought Ladysmith Black Mambazo in a Gallo minibus to the Johannesburg studios, where welcome faces and pats on the back greeted them. All except for Rupert Bopape, of course! Joseph Shabalala, the enigmatic founder and leader of the group, recalled in a late 1990s interview that Bopape was hesitant of signing the then-seven members to Gallo-Mavuthela. “He was hesitating about it,” remembered Shabalala. “He said, ‘there are groups like the King Star Brothers… we record them and black people don’t buy their music! It’ll be the same thing for these guys!’” West Nkosi insisted that these guys were so much more talented than any of the others. The hesitation continued for a while – but luckily, singer Irene Mawela happened to be in the studios that day and asked who these singers were. When told of the group’s name, she immediately recognised them from the constant Radio Zulu airplay – and insisted that they be signed up. West noted her approval and Bopape, who was Mawela's husband at the time, duly agreed. Ladysmith Black Mambazo began recording in August 1972 and, by the end of the decade, had become the biggest selling group in the country’s history. 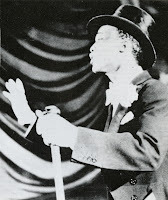 Alongside producing several more immensely popular acts, West Nkosi continued recording instrumental hits too: in the line-up West Nkosi Nabashokobezi (which included guitarist Marubini Jagome, bassist Jabu Zulu and drummer Eddie Ndzeru), he focused mainly on peppy sax jive tunes and recording many, many numbers in the ‘mabone’ series. 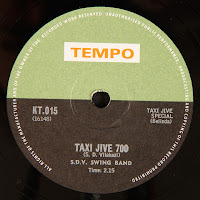 With his longtime musical acquaintances in the Makgona Tsohle Band (also credited as the Makhona Zonke Band on several 1970s records), Nkosi also did sax jive but that bit more extravagantly, as well as later branching out into bump jive and soul. “Sindiza Emoyeni” (“We fly in the air” [over the airwaves]) is an energetic number from the 1972 line-up of the Mahotella Queens. By this point in the group’s career, Hilda Tloubatla was the last original member, surrounded by newer recruits who had joined in the late 1960s – but Hilda was also soon to leave, joining the frontline of Izintombi Zesi Manje Manje in later 1972. Many of the Mahotella Queens, including Windy Sibeko, Nunu Maseko and Nobesuthu Shawe, had left to join Izintombi between 1967 and 1972, and despite pleas from Mr. Bopape and arranger Marks Mankwane, Hilda followed them. She did return to the Queens in 1973 before moving back to Izintombi in 1976, where she remained until a reunion of the original Mahotella members in 1983. The reunion did not pick up much steam in South Africa, and it was only after yet another barren spell – during which time The Indestructible Beat of Soweto and Graceland made their respective marks in the music world – that the call came from the international community, bringing the group up to that full speed again. At the time that “Sindiza Emoyeni” was recorded, the Queens were literally royalty in the eyes of their fans: they had hundreds of successful numbers under their belts and had mostly protected their ruling place in the industry with immense ease. This song, written by regular member Hilda – with groaner Lazarus ‘Boy Nze’ Magatole providing the lead vocals – celebrates the prowess of the Queens and their regular appearances on Radio Zulu: “Kumnand’ ukuba yithi, sindiza phezulu emoyeni” (it’s nice to be as we are, we’re flying high up over the airwaves), sing the ladies. “Hamba minyaka! Hhayi kumnandi’ ukuba yithi” (go away, old age! It’s nice to be as we are), they plead. “Hamba minyaka!” sing the Queens and Boy Nze fervently and repeatedly. It would seem that the Queens’ passionate request – go away, old age! – has been fulfilled. The current Queens line-up, of which Hilda is the heart and soul, still defies audiences with their powerful vocals and energetic dance routines… they are well into their 70s now! Accordion jive was one of the most successful forms of mbaqanga from the very end of the 1960s up to the early-to-mid 1980s. Among those first stars of accordion jive in the 1970s was Mzwandile David (pictured left, in 1979). David, born in Transkei, came to Johannesburg in 1973 at the age of 20. He played his accordion for Rupert Bopape in his Gallo office and was immediately ensconced in the music industry. So began a long career of association with an extensive list of studio musicians, and an able and active music life: not only could he play the accordion, he could play the bass guitar, as well as the keyboard (or as the musicians referred to it, the ‘organ’). 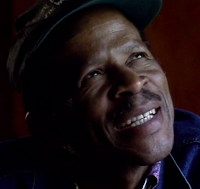 His main role in the 1970s was as an accordion jive star, recording under the name Mr. V. Mzwandile. One of his early numbers, “1968 Special” – composed by rhythm guitarist and bassist Sipho Mthethwa – was released in late 1973 on the Up Mavuthela label. Another accordionist whose mbaqanga numbers cultivated him a following was Delford Ngcemu (who recorded under the name Delford Ngcem’…!). Ngcemu arrived in the industry around 1970 and managed to gain some noteworthy hits: “Sea Water 800”, “Zaphela”, “Zola 500” and “Kumnandi Egoli”. One track in which he plays the accordion greatly is “Iphepha Lamarabi”, released in 1972 on the Inkonkoni label. Though backed by the Makgona Tsohle Band, the track was pressed with the name Joseph Makwela & His Comrades (Makwela is of course the wonderful bass player). Another accordion jive hit-maker was Mtabhane Ndima. He entered the music industry circa 1969, soon making his name with hits like “Sea Water” and “Nyamazane”. In “Impunga Yehlathi”, he puts aside his accordion and takes up singing – none too successfully! – with a trio credited as the Mash Sisters and a band of session musicians. Though Ndima’s talent really lies with the accordion than the voice, this track – released in 1973 on the Motella label – is still an interesting listen. The penultimate vocal song in this mix is provided by the always-wonderful Dark City Sisters. “Koloi Ya Malume” was composed by leader Joyce Mogatusi, recorded in 1977 and produced by West Nkosi. The Sisters, formed in 1958, had put their musical career on a hiatus in 1971 and didn’t regroup until around 1974, by which time Mogatusi was married and blessed with two children. The Sisters reunited at their new recording home of Gallo-Mavuthela, having spent the first part of their career at EMI under Rupert Bopape (until 1964) and then Hamilton Nzimande (until 1967). Mavuthela was directed by their former boss Bopape, but the ladies were under the production of West Nkosi, who – as a musician – was more hands-on, creative and had a great deal of input in the day-to-day goings on. The Sisters were at the company, releasing their material predominantly on the Gumba Gumba label, until 1981, when they joined Roxy Buthelezi’s Black Cat Productions (under the distribution of EMI). The Sisters once again split not long afterwards. 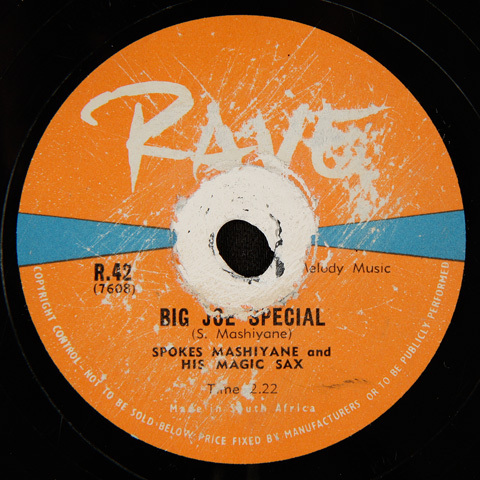 Joyce Mogatusi returned to Mavuthela in 1984, recording a solo album under the title Joyce And The Shoe Laces, under old producer Nkosi (with Joyce singing all the group harmonies herself via multi-track, backed by West’s small unit of session players). The Sisters reunited once more towards the end of the 1980s, and although Joyce and the other longest-serving member Grace Moeketsi still keep the fires burning, it is only on a very small local scale. The Sisters’ earlier material is often elusive – the infamous Star Time LPs are hard to get hold of for a reasonable price, let alone the masses of 78s and 45s they produced in the 1960s and 1970s. “Koloi Ya Malume” is a great example of the ladies in fantastic voice, with excellent studio backing and also a guest groaner (who sounds like Joseph Mthimkhulu, one of the bass voices of Abafana Baseqhudeni). The “mabone” (car headlights) craze, which began in 1973 and lasted well into the next year, was so big it took the meaning of “craze” to new heights. 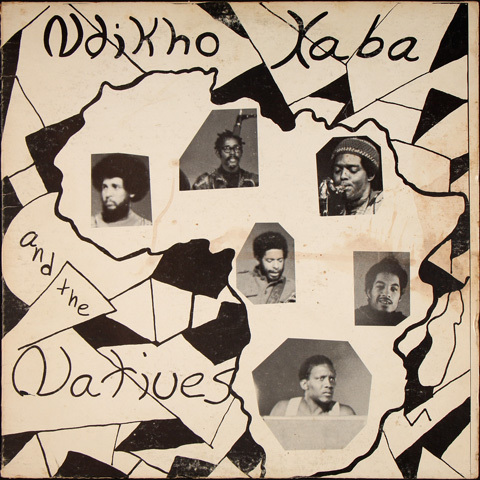 The first recording, “Two Mabone”, released on the FGB label in 1973 and recorded by West Nkosi Nabashokobezi, surpassed sales expectations in South Africa by a long margin. 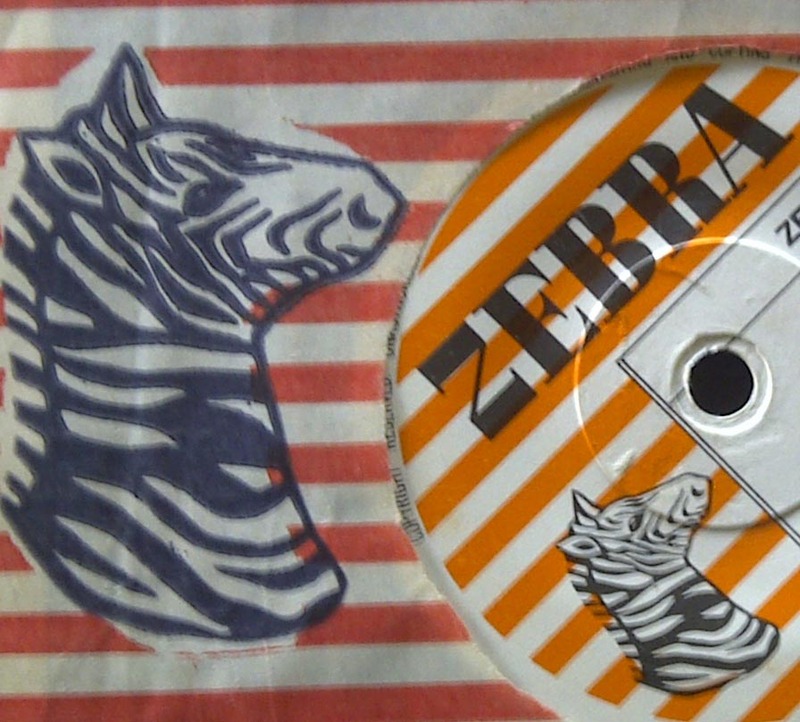 It was so popular that London Records obtained the U.S. distribution rights to the single. It was such a craze in South Africa that it became a series of recordings, with each black production company putting out their offerings: “3 Mabone”, “Four Mabone”, “6 Mabone”, “Twelve Mabone”… and so on! One view for the creation of jive mabone was in support of the battle to increase profits for the parent organisation by formulating a new craze for the black public to grab onto. 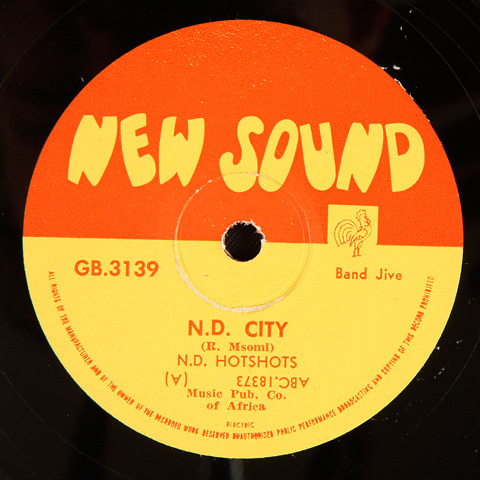 The spoken introduction (or “rap”) tells the listener that this record is a biggie; it is something that every hip-to-the-jive African fella should own a copy of. The catchy beat and rhythm swiftly takes over from the shouting producer, and the music wins the listener over in a flash. Producer promotion via shouting + talented musicians = big hit! In the previous Mavuthela compilation, Jive Smodern Jive, we shared four of the big ‘mabone’ hits up to “6 Mabone”. “17 Mabone”, recorded by the Zwino Zwino Boys, was released on the FGB label in 1974. The mandatory (and perhaps unintelligible!) promotional rap – by whom else but the big boss Bopape – opens the tune. Car horn sound effects pierce the air before James Mukwebo’s bass launches the song. Before you know it, the guitar rhythm and infectious percussion kicks in and Noise Khanyile joins the band on violin, together with Elias Lerole on alto sax. The Boys are surely driving the Impala in top gear in this number. Irene Mawela was one of those vocalists whose beautiful voice appears uncredited on a galaxy of records pressed with a variety of wonderful group names. Her musical life has seen her rubbing shoulders (and singing with) the likes of the Killingstone Stars, Dark City Sisters, Radio Stars, Sweet Sixteens, Young Stars, Rain Drops, Zoo Lake Rockers, Black Sea Giants, Trotting Sisters, Mgababa Queens… the list goes on. When she joined Gallo-Mavuthela in 1972, she entered into a romantic relationship with director-producer Rupert Bopape. The two were later married. Bopape was a forceful operator, and had complete control over the goings on in the company. So, when he said to Irene that he didn’t want her to go on tour with any of the Mavuthela artists, she obliged. Instead, he kept her busy in the studio penning hundreds and hundreds of classic mbaqanga songs. When Irene joined back in 1972, she became a part of a small line-up called the Mgababa Queens. When her relationship with Bopape became more intense, he began working more closely with her to develop her own music and talent: Irene & The Sweet Melodians was originally another small group with four to five singers, but by 1975 had reduced in numbers – the only vocalist now was Irene, who multi-tracked her voice to create a smooth female group harmony. One notable number, featuring Potatoes Zuma as the groaner, was “Moratoa Ke Batho”, released in 1975 on the Motella label. From around early 1976, Bopape and Irene began working more closely: ill health was forcing him to reduce his role in the administration of the company, and so the two formed a less strenuous composing partnership to create many mbaqanga classics, usually featuring Irene’s voice (or voices!) paired with a male groaner (or indeed quite a few male groaners) and, sometimes, Bopape's oddly melodious spoken word. A great example of one of these tunes ends our celebratory holiday compilation. “Zodwa Ntombi Yami” (“This girl is only for me”) was released on the Motella label in 1976 with the group name Mahabula Joza. It is a love song with a girl and a boy proclaiming undying love for each other. It features a startling accordion introduction, before the guitar rhythm of the Makgona Tsohle Band kicks in. Irene sings her way through the song beautifully, accompanied by members of Abafana Baseqhudeni including Robert ‘Mbazo’ Mkhize, Potatoes Zuma, and Elphas ‘Ray’ Mkize, bringing Christmas Jive to a smashing finish. That just about rounds up the last post of my first year here at Electric Jive. It has been a real pleasure to be a part of a team bringing such amazing music to the fore once again, and it is truly an honour to receive praise for what we do here. Christmas Jive has been handpicked from several 78s and 45s originally released between 1964 and 1977 on the various Gallo-Mavuthela record labels: Motella, Gallo New Sound, Gumba Gumba, C.T.C. Star Record, Gallotone, Gallo-USA, Inkonkoni, FGB Producers, and Up Mavuthela. Out of the 35 tracks contained in this collection, 6 numbers were kindly provided by Siemon Allen, and 2 numbers were kindly provided by Laurent Dalmasso – a tremendous thanks to both of you for taking the time and effort to assist me. The baton is now thrown from me to Matt, who will ring in the New Year with another assortment of goodies in a week or so. Hopefully normal service will resume from 2012! So many of the tunes within Christmas Jive have been hidden for so long, so naturally, I am pleased to share such a fantastic selection of rarities with you. These musicians are truly playing from their hearts… I just know that you will all enjoy these songs as much as I have. I posted Volume One of this survey here at Electric Jive earlier this week. I was planning to post the remaining two volumes next month, but in the spirit of the holiday season thought it might be good to complete the picture. If you are arriving here first, the introductory text in Volume One will give you more information on the whole compilation. Majuba, msakazo, or what is more commonly referred to as African Jazz is a quintessentially South African sound. Originally it was a big band sound that took American swing and indigenised it with elements of marabi. 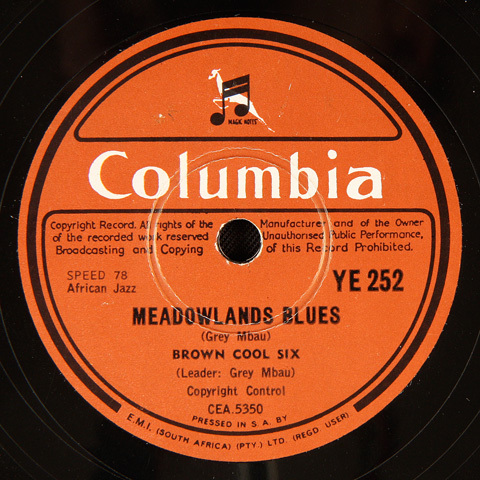 From its hey-day in the 1950s it was created by and produced some of the key figures of South African Jazz. By 1958 majuba jazz had split: one avenue taking a 'highbrow' approach with the influences of bop to become the sound of the Jazz Epistles and The Blue Notes; while another, some would say, 'lowbrow' approach took the music in the direction of sax jive. By 1964 sax jive had become mbaqanga. An excellent kwela/vocal jive composed by Reggie Msomi opens this compilation. In many ways, the popularity of kwela led to an assimilation of aspects of that style with majuba jazz. Towards the late 1950s, the big band sound became faster and incorporated elements such as rhythmic or vamping guitars. Some like Drum music critic Bloke Modisane in his review of a 1958 recording by the Sharpetown Swingsters, commented that they “are probably the best there is. Wish they could remember that occasionally people sit down to listen… or pretend to.” In many ways the popularity of this faster style of playing also marked the beginning of the end of majuba jazz which quite rapidly began to transform first into sax jive and then mbaqanga. 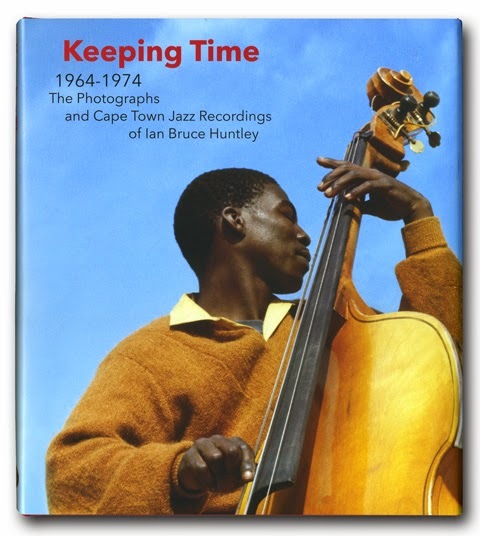 Ian Jeffrey’s great account in his dissertation on this band gave me substantial insight into the general context of the history of majuba jazz. It is Jeffrey’s continued use of the term “majuba” in describing this music that lead me to research its root. Led by Joseph Molifi, the Sharpetown Swingsters formed in Sharpeville in January of 1953. The group at that time included Molifi on trombone, Joseph Moshoeshoe on trumpet, Hans Bessie on alto, Steven ‘Booitsie’ Lepere (brother to Jacob Lepere) on bass, Ishamel Molifi on tenor, Isaac Makgale on alto and David Masuko on drums. 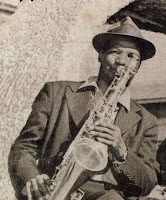 In 1954 Simon ‘Paps’ Mokhome joined the band on second trumpet, while Iphrahaim Zwane replaced Ishmael Molifi on tenor. In 1955 they were "spotted" by Rupert Bopape who signed them to a five-year contract with EMI to record under the Columbia label. 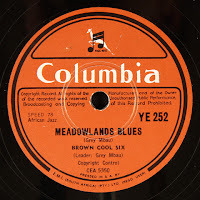 Their first recording V Blues and Sharpetown Special (YE 127) “made them famous” though Jeffrey’s goes on to say that the group received £11 per side with an additional £5 to Steven Lepere for composition. The practice according to Jeffrey’s was the standard for all bands at the time. EMI’s stable under Rupert Bopape was hard to beat in the 1950s and included some of the best musicians and band-leaders. Major names like Ellison Temba of the African Swingsters, Zacks Nkosi of the City Jazz Nine, Gray Mbau of the Brown Cool Six and Elijah Nkwanyana of Elijah’s Rhythm Kings would record together and often rotate band names depending on who was leading. These guys were also the core of Bopape’s Magic Circle Band, a kind of “super-group." that featured the best musicians from various bands. 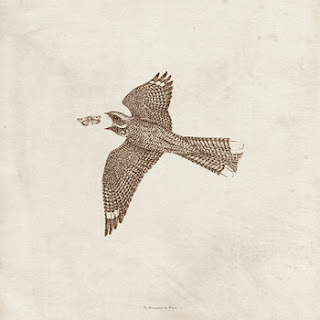 As mentioned earlier in the Volume One post, Victor Ndlazilwana began his career singing with the male quartette, the Woody Woodpeckers, in 1951. The recordings on that compilation were issued on the Philips label, though I am under the impression that the Woodpeckers normally recorded for EMI and it’s various labels: Columbia and HMV. At that time record companies would sign artists but record them under a range of different names. The “stable” system as it was known, gave competitors and the audience the impression that the company had far more recording artists than it did. It also allowed the company to control the relative success of any one group. 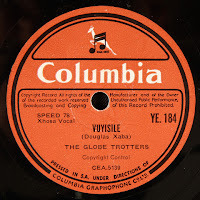 It is not clear to me whether the Globe Trotters are the Woody Woodpeckers under another name but certainly the composing credits here go to regulars in the EMI stable: Ndazilwana, Rupert Bopape and Douglas Xaba. Drums of Africa as well as two other tracks by the Globe Trotters were featured on the 1950s compilation LP Africa - Music and Life Today (33JSX 9), also issued in the US as Music of the African Zulus. Douglas Xaba is possibly most well known for his tune Emavungwini popularized by Miriam Makeba on her 1968 album Makeba!, but first featured on Hugh Masekela’s 1965 album Grrr which interestingly also included his version of Dudu Pukwana’s dedication to Christopher Columbus — Mra. (Listen to Makeba’s version here at Electric Jive) Another version of Emavungwini can be found on an album by Cedric Brooks and the Devine Light. Here the track is credited to none other than Ndikho Douglas Xaba… as in Ndikho Xaba and the Natives, authors of the super rare and highly collectable, spiritual jazz LP issued on the Trilyte label in 1969. Their track Swazi Stomp, composed by Zacks Nkosi is included on the compilation LP Jazz and Hot Dance in South Africa. 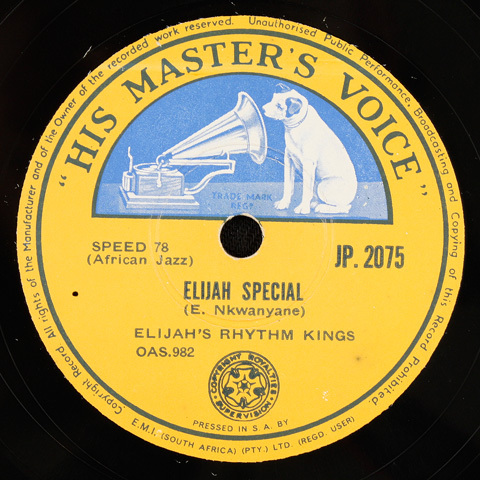 Huskisson has that tune being Nkosi’s first, composed in 1953, though the track by the African Swingsters, issued on HMV (JP 133), probably dates from around 1955. (SAMAP has it as JP 418, which could be a reissue.) Shay’utshane, a major hit in 1959, comes quite late in the history of majuba. After Bopape left for Gallo in 1964, he took many of his EMI musicians with him including Themba. 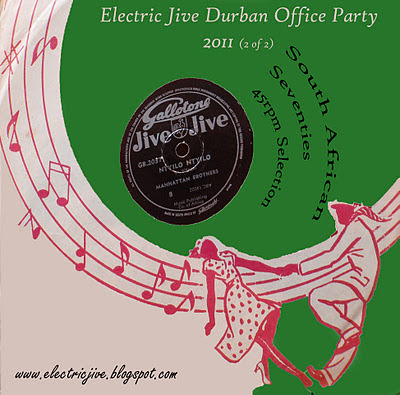 The African Swingsters would continue to record for Gallo well into the 1960s, in fact they are the last group represented on Volume Three with, by then, a distinctly mbaqanga sound. In 1975 Gallo re-assembled a band of jazz musicians from the golden age of majuba. Called The Members, this group included Ellison Themba, Ntemi Piliso, Shadrack Piliso and Spokes Mashiyane amongst others. They recorded in the style of what was then called bump-jive — a slowed down, extended version of the very music they helped create in the 1950s. The group released a number of albums including Wayback Riverside (BL 40), and Kadudu Special (BL 44). 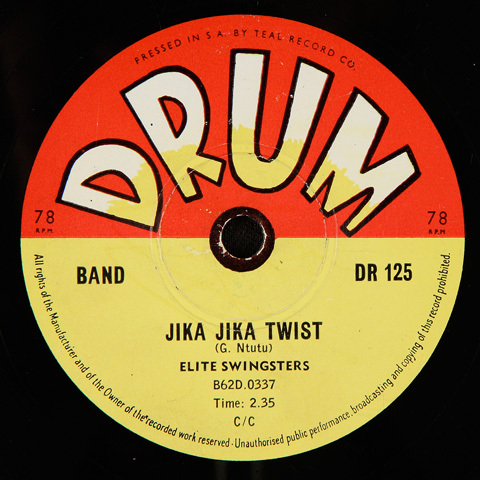 The Elite Swingsters were formed in April 1956 by Johannes 'Chooks' Tshukudu as a session band for RCA, an imprint of Teal Records in South Africa. After a string of hits including Phalafala, the group decided to continue recording under the name: Elite Swingsters. Lebenya Matlotlo worked as a producer for RCA and penned four of their early tracks including the hit Phalafala and subsequently also played a significant role in the group's formation. A collection of their 78 rpm hits were issued as The Beat of Africa around 1958. It is not clear to me who was part of the original lineup of the Swingsters at that time, but it could be extrapolated from the track listing of their first LP that the group included Tshukudu and Paul Ramesti. Mojapelo in his book puts Philip Thami Madi in the original group as well and according to music.org.za the classic lineup included leader and string bass player, Tshukudu, Louis Molubi on drums, Rex Ntuli on guitar, Johnny Bangazi on trumpet and Rametsi on tenor sax. 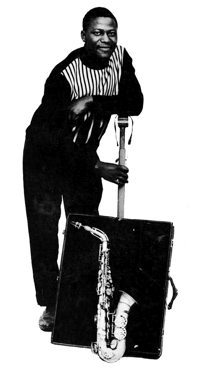 The Solven Whistlers' Peter Mokonotela joined the group as an alto saxophonist in 1962 as did the notable film star and vocalist, Dolly Rathebe, in 1964. Generally this group would include legends from the EMI roster including Ellison Temba, leader of the African Swingsters; Zacks Nkosi of the Jazz Maniacs and then City Jazz Nine; Elijah Nkwanyane of Elijah’s Rhythm Kings, Gray Mbau of the Harlem Swingsters; and Michael Xaba from the Jazz Maniacs and Harlem Swingsters to name but a few. 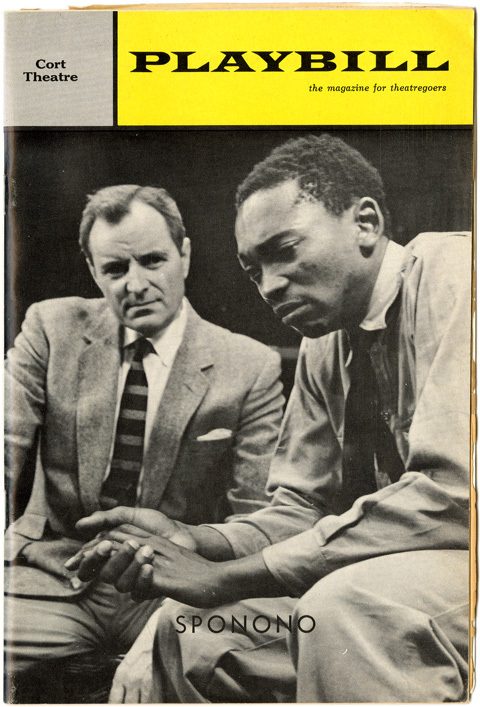 In 1964 Bopape moved to Gallo, taking many of their musicians with him. There he established Mavuthela and built a significant foundation for mbaqanga music. While at Mavuthela, Bopape did attempt to reconstitute the “Magic Circle Band” as can be heard on Volume Three of this compilation. 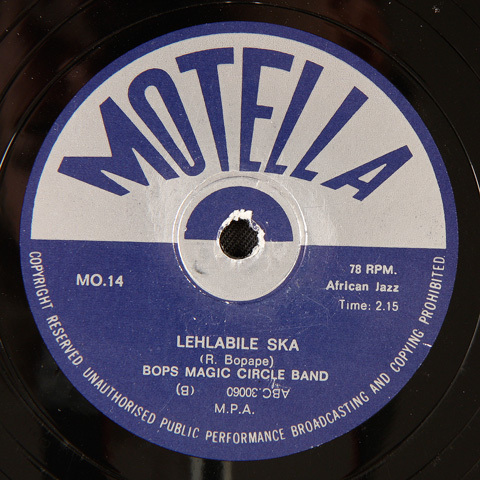 Bop’s Magic Circle Band was issued on Motella in 1964, an early issue from that famous label. Notably the tracks there are a lot more mbaqanga sounding than those of the Transvaal Rockin Jazz Stars. Read more about the history of the Motella label, Mavuthela and Rupert Bopape in Nick Lotay’s classic post Jive Motella! at Matsuli. The tracks featured in this compilation are some of my favorite and show Msomi, along with Mashiyane, to be at the forefront of transforming the mbaqanga sound from its majuba roots. 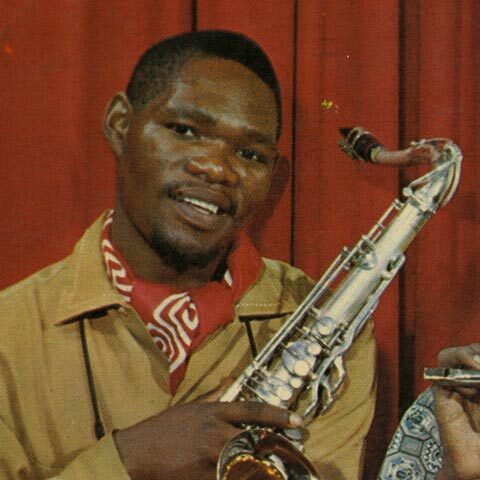 Msomi’s approach to mbaqanga was quite experimental, often introducing elements like ska or twist to the music. Significantly he was often credited as composer on many classic Gallo New Sound tracks, most notably those with Mashiyane as well as the Skylarks featuring Miriam Makeba. In 1962 he formed the Hollywood Jazz Band and also became a producer / talent scout for Gallo. Alas, in 1964 he was replaced by Rupert Bopape in an unfortunate turn of events recounted in Nick Lotay’s classic post Jive Motella! on the history of Mavuthela at Matsuli. View more of Msomi’s albums at flatinternational. Finding information on this jazz singer has been quite difficult. In the early 1950s, Ethel Rululu performed with the Hi-Tide Harmonics and recorded with them on Trutone’s Bantu Bathu label (BB 627) possibly in 1952. The tracks featured here are from 1961 also recorded with Trutone. Given the rise of mbaqanga, her style of singing at this point almost seems out of place, coming from the seemingly forgotten era of the 1950s. Again it is difficult to find information on Christopher Songxaka. The SAMAP archive reveals a number of compositions by him, including Zulu Jazz recorded by the Eastern City Seven led by Boyce Gwele. 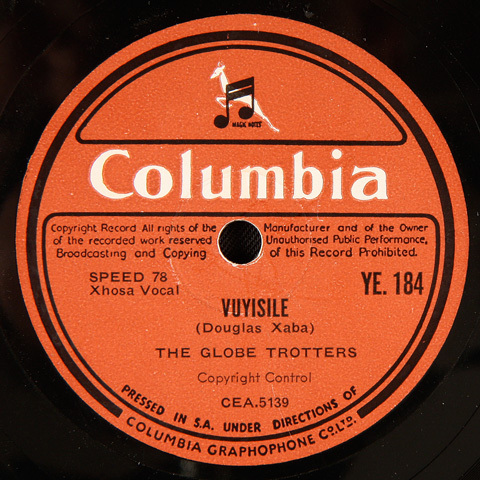 The track was issued on the Tropik label around 1957. Spokes Mashiyane and his Big Five’s New Sound Jump also composed by Songxaka was an early hit and issued in 1959 or 1960. Christopher Songxaka and His Sax recorded 1959 Se Cherries on Trutone’s Quality label in, I am assuming, 1959. And then Songxaka fronted at least two bands at Gallo during the Mavuthela era: the Home Swingsters and the Home Town Units, both from about 1964/5. The tracks featured here by the Hi-Life Septet come quite late in the majuba chronology but do sound classic! Pioneering jazz guitarist, Allen Duma Kwela was born in Chesterville, Durban in 1939 and acquired his first guitar in 1954. In 1958 he moved to Johannesburg and began playing and composing with Spokes Mashiyane and others. Electric Jive has featured two of his classic, hard-to-find albums the 1972 Allen’s Soul Bag and the late 1970s Black Beauty. In an interesting side note Roger Koza in an interview with Lars Rasmussen revealed that Allen Kwela, Barney Rachabane along with Winston Mankunku and others were part of the group The Cliffs that recorded the 1975 album Alex Express also available here at Electric Jive. Oddly, the track Diphoofolo Tsotlhe featured here includes a number of farm animal sounds. Not sure why this experimental approach was taken, but perhaps it was meant to give the track a more rural feeling. The tracks on Volume Three trace the music as it augments from sax jive to mbaqanga. Many of the artists here of course are featured in the previous two volumes and were the pioneers of majuba or African Jazz in its hey-day in the 1950s. These tracks reveal the innovators — having set the foundation for the music that was to dominate South African styles for the next twenty years: mbaganga — now having to adapt to its commercial requirements. The tracks here show a style in transition, where artists were exploring new avenues but also trying to keep up with the changing times. They had to either swim with it or sink. In his book In Township Tonight, David Coplan’s account of this period is particularly revealing: “the veteran big band and mbaqanga jazz players could at first still get work in the studios backing simanje-manje groups like the Dark City Sisters. Producers like Bopape and Mathumba, however, preferred to hire musicians individually for standard msakazo recordings. Professional urban musicians expressed their dissatisfaction with the new system, while the producers disdained the jazzmen’s sense of artistic and professional independence and found their demands for better pay and working conditions annoying: Who did these hired hands think they were? While this account of the business side of the music creates a bleak picture of the 1960s, it must be said that the music on this volume is still some of the best. 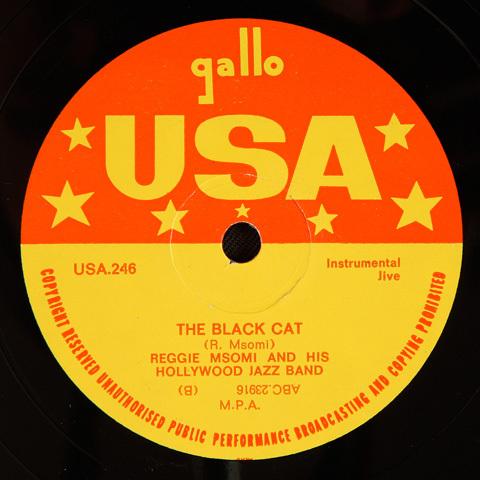 Reggie Msomi’s Black Cat is one of my favorites of the whole compilation. Volume Three also features classic tracks by David Thekwane and Strike Vilakazi, both producers for Teal and Trutone respectively. 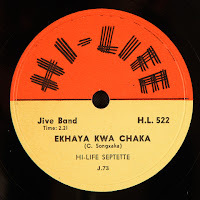 If you are interested in where this music goes from here I highly recommend Nick Lotay’s, excellent posts on the history of Mavuthela at Matsuli and here at Electric Jive. 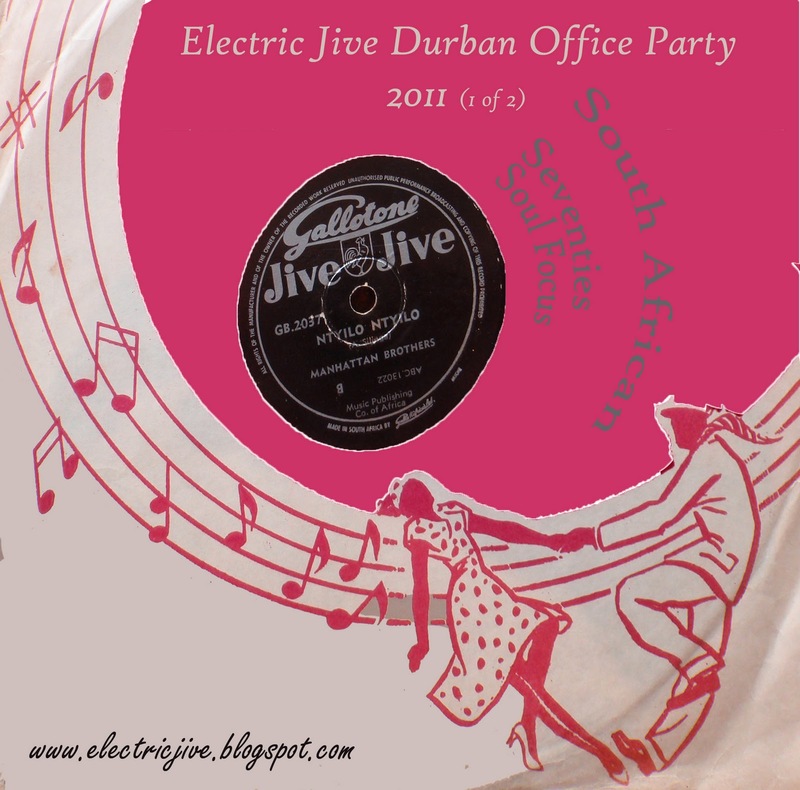 One final note about the last track here by Ellison Themba’s, African Swingsters. This track features Muvuthela’s Marks Mankwane on guitar backed by the Magkona Tsohle Band and while it is an instrumental, you almost keep expecting Simon 'Mahlathini' Nkabinde to start groaning.